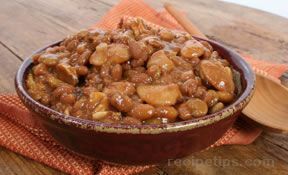 A potluck or a family dinner is a great place to serve these beans. Full of flavor and nutrition, this side dish will be loved by everyone involved. Brown beef and onions. Drain grease. Add bacon. 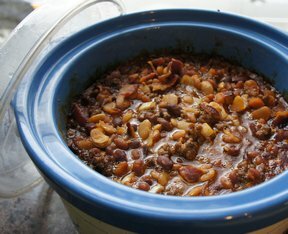 Mix remaining ingredients and heat in slow cooker until heated through, at least 2 hours. Note:These beans can be mixed up and refrigerated a day or two ahead of time. The day they are to be served, cook as directed above. 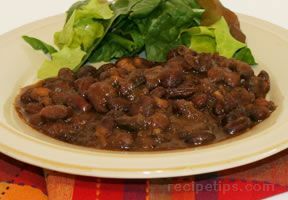 Keep in mind that you may have to add a little more to the slow cooking time because the beans would be cold.